OP0152. 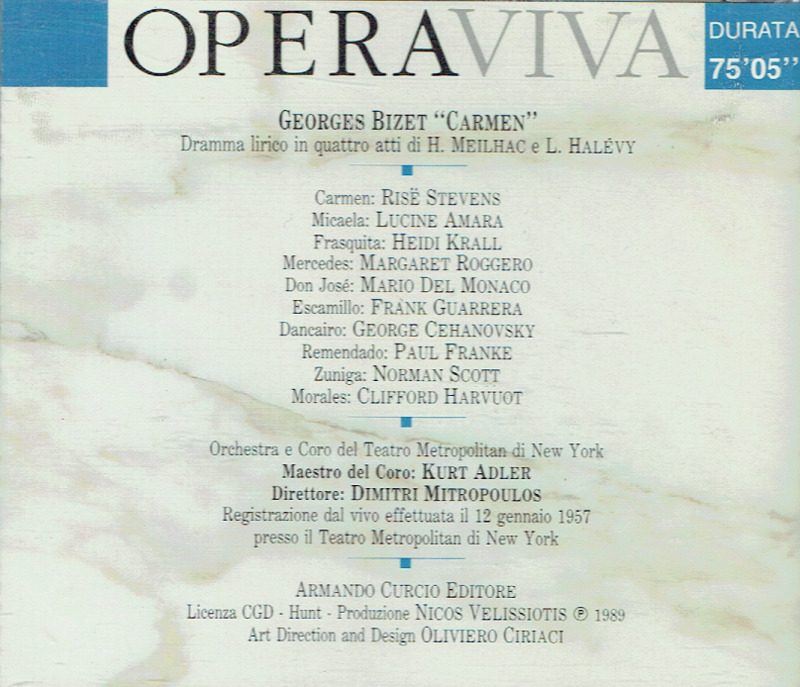 CARMEN - Excerpts, Live Performance, 12 Jan., 1957, w. Mitropoulos Cond. Rise Stevens, Mario Del Monaco, Frank Guarrera, Lucine Amara, etc. 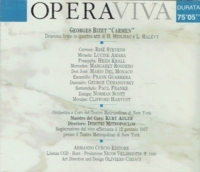 (Italy) Opera Viva 006. Very long out-of-print, Final Copy! "The strong-lung mode of the afternoon is maintained by Del Monaco. Don JosÃ© can be played as macho man, and our tenor does so. 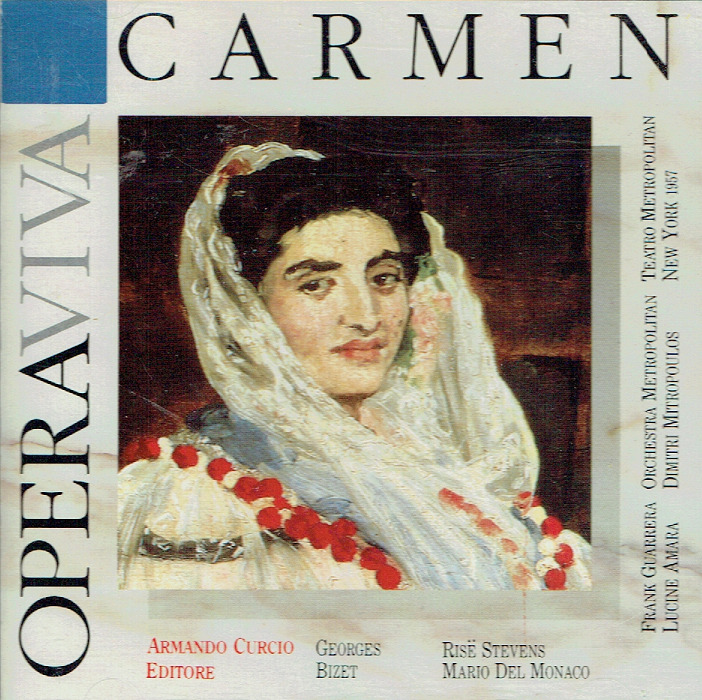 The manner is inherent in his robust instrument....we know full well that we have been transported from Seville to CAVALLERIA's stark Sicilian landscape."